An unusual sighting for us 'Northerners' when visiting London. 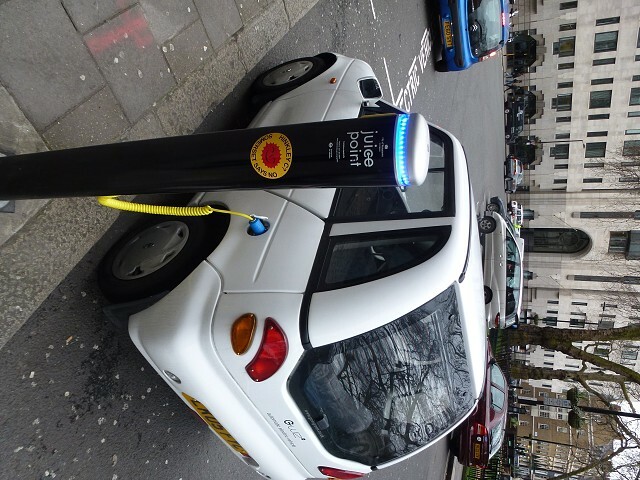 Spotted here on Berkeley Square - a G-wiz electric car getting a top up! Ironically just along from this Blip there was a RR showroom with a second hand Phantom Drophead Coupe for sale - 6.75 litre petrol engine; lots of standard features and a few bespoke features including a 'universal garage door opener' ... all for a mere £349,500.